A great night's sleep awaits you in the comfortable King Size Bed with a pillow topped mattress, plus squishy duvet and pillows. 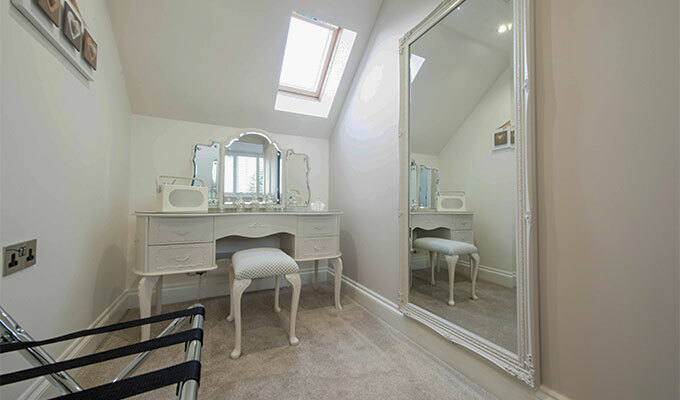 There's a beautiful adjoining dressing room with a French style dressing table and stool, full length dressing mirror, clothes rail, shoe and luggage rack. 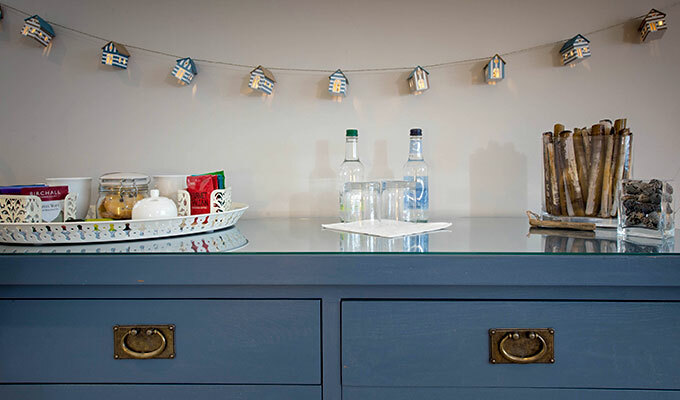 Your own silent mini fridge with fresh milk and complimentary mineral water plus on the refreshments tray a choice of premium teas, coffee, chocolates and homemade biscuits. 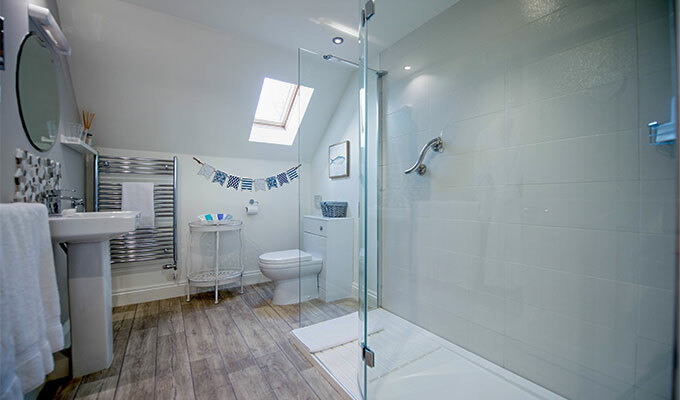 This is a lovely light filled room and is fitted with easily operated plantation style window shutters. 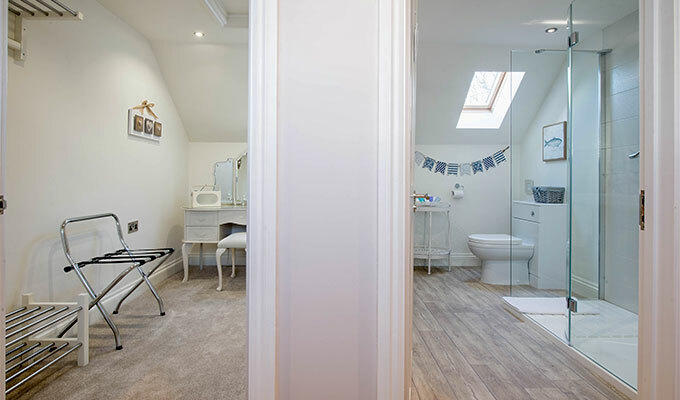 Ensuite Bathroom with easy access walk in to power shower. Fluffy Robes and plenty of towels plus complimentary toiletries. These rates are per room, per night for two people sharing and include full breakfast choice. These rates are for a minimum stay of two nights or more. A room to truly indulge yourselves! This sumptuous and spacious room has south westerly rural views over the rear garden. Seating area with comfy chairs and coffee table near the large picture window, where you can watch the colour changing skies and evening sunsets as they happen. Fluffy Robes and plenty of towels plus complimentary toiletries. 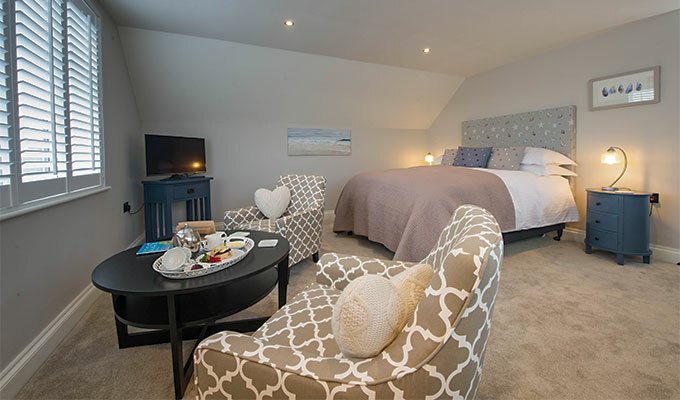 Rates are per room, per night for two people sharing and include full breakfast choice. These rates are for a minimum stay of two nights or more.